Anyone near a Kroger's want to buy me 2 sets of the Halloween cars and ship them to me? I'll trade you for some cash? Ugh, exclusive are neat, but annoying when you don't live that close to the store they're exclusive to. Only one store near me has gotten them in and the extras are spoken for, but I'm hunting for more. 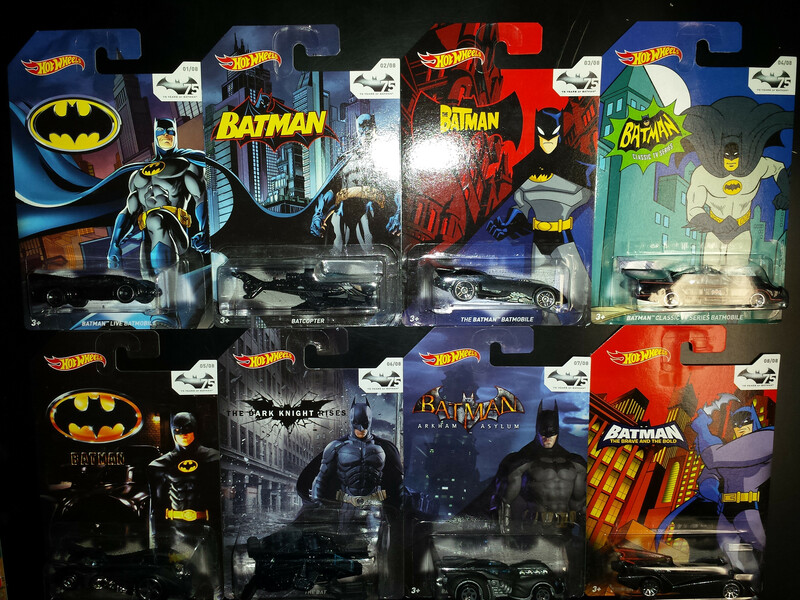 I'll grab you two sets unless someone finds a couple sets for you first. Last edited by RotorNutFD3S; 10-01-2014 at 10:39 AM. I've got a lot less horsepower - luckily they are Japanese horses - usually in better shape and more motivated. No luck for you yet Jamie. Still looking. I did find a bin of the eight Fast and Furious cars . I got extras to see if I could help anyone out. I grabbed the nicest cards available but they did come out of a dump bin so be forewarned that a soft corner is possible here and there, but I don't actually remember any. 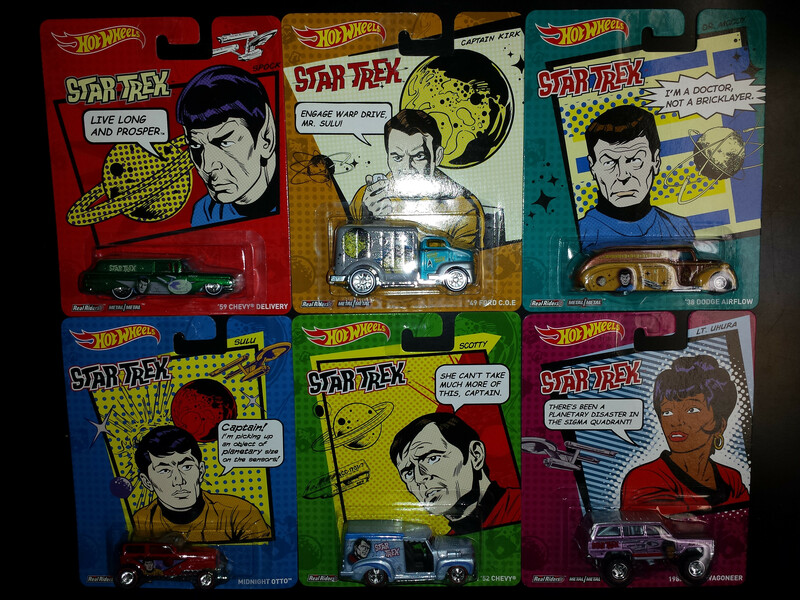 To keep things simple, I'm asking $1 per individual car or $8 for a complete set + whatever actual shipping to you is. Payment via PayPal. I'll trade for them too if desired. Last edited by RotorNutFD3S; 10-09-2014 at 01:16 PM. 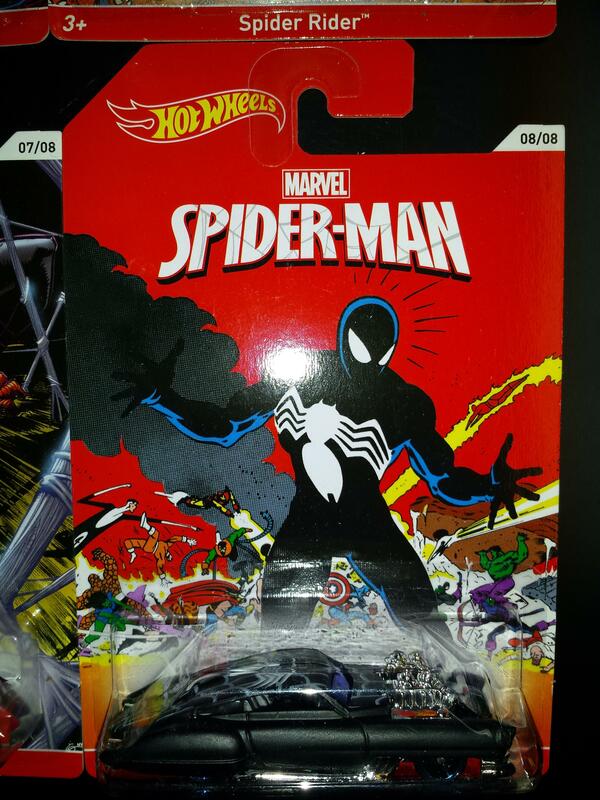 Yeah, I heard some A cases were starting to hit Wal-Marts along with these FF cars. 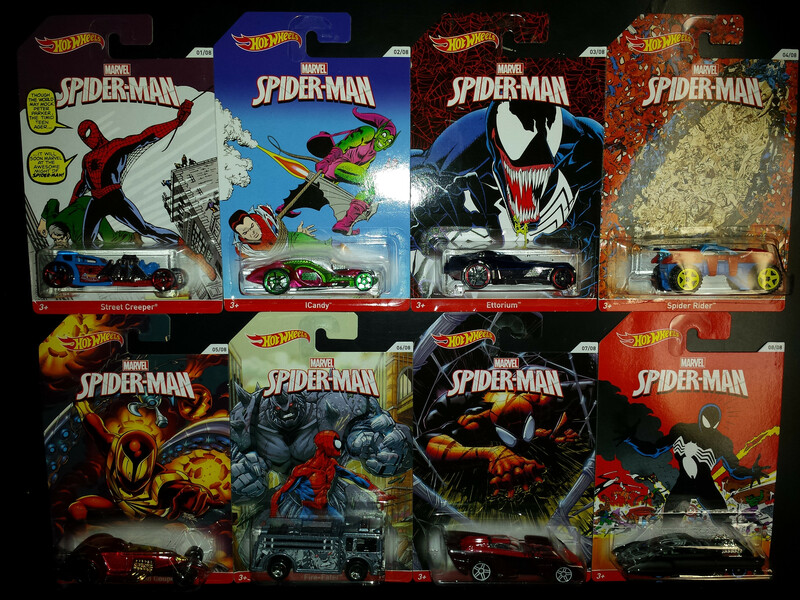 Plus the Wal-Mart A cases contained the last 3 2014 Zamacs. Going to check my home town WM this weekend. A case, no Zamacs, but Supers (Kombi!) and Regular THs. But A case has only hit in the west/midwest so far. Last edited by RotorNutFD3S; 10-07-2014 at 08:53 AM. Anyone have 2014 Zamacs 13, 14, and 15? I have completely failed to find them anywhere in my area. Having just found 16, 17, and 18 tonight I don't foresee finding the previous 3. And I only found one of each after sifting through 3 small dump bins, going through every. single. car. Did find the Batman cars tonight. Can easily go back and get a set (of 8) if anyone is interested. Chevelle, Skyline, and Mustang right? I have one spare set left. Yeah, if there's anything I have for trade you want, let me know. Otherwise, I'll pay ya for'em. A friend of mine is looking to sell some Hot Wheels. He's not really a collector, just bought a few things he liked when he was with me. He's selling because he's looking to buy a clean '87-'89 Trans Am GTA, and every buck counts. I'm just trying to help him. Prices are what he's asking, just passing things along. He's only selling them as sets. Last edited by JamieH; 03-09-2015 at 12:14 PM. Looking to get rid of these, don't know what they're worth. That AE-86 with the FTE wheels is probably very sought after these days. Sell them all as a lot and would probably get more, say $25 to $35 for the lot of AE cars. The 57 Chevy Funny car you can probably get $20 for. Unfortunately the others would probably only fetch $5 to $10 each for. Yeah, Oil can 100% just don't bring much anymore. My buddy just tried to sell some on evilbay and no bids at $10. I tried to trade some Merc's at the last big diecast show in my area and most of the sellers said they are no longer desirable because all those Merc fans have passed away. 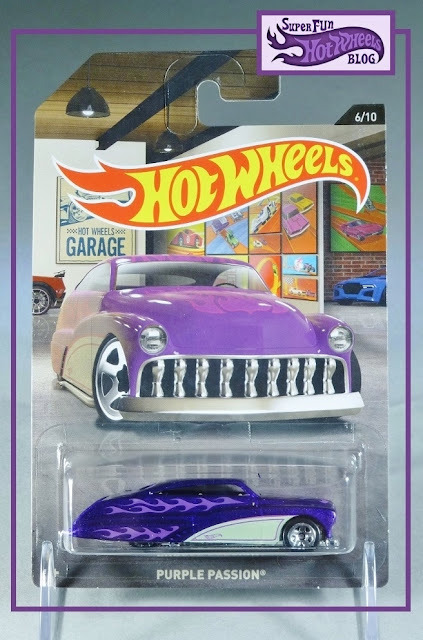 Personally love the slammed Merc's, and other slammed hot rods of that era, especially like the Hot Wheels casting called the Tail Dragger, (my all time favorite because it was solid metal base, and solid metal top making it super heavy) and the Purple Passion (just because it was slammed and looked cool, to me anyhow), I believe 1 or both are based off the Merc? Was neat when I got to walk around the diecast Nat’s with Gene and John D’Agostino looking for Taildraggers.